Why hire people with disabilities? AbiliTrek understands that access extends beyond eliminating physical and virtual barriers. Social barriers are what stand in the way of an equal opportunity. Our team has the capability to educate your community–whether that is a university or a workplace–about the complex issues that make up the definition of disability. We desire to teach the world and change perspective on the definition of disability so that access–both in the physical and social sense–-can be obtained by the disability community. 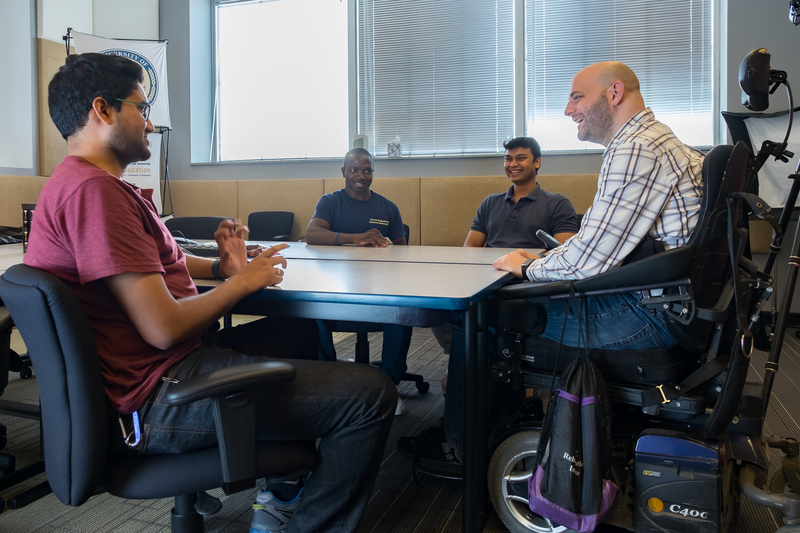 We welcome the opportunity to assist businesses and universities in becoming more inclusive to people with disabilities and are committed to eliminating ableism in our culture. We offer hourly or fixed-rate, project-based contracts. We can help your market and your community grow. With over 58 million people living with a disability in the United States, this provides for a greatly underrepresented minority. Making your place of business or meeting more welcoming through a better understanding could prove to be not only beneficial to the disability community, but you as well. We provide unique value: We offer a unique perspective on usability based on life-long accessibility experiences as travelers and customers with disabilities. We also have had countless experiences with customer service staff who unfortunately have not had training in disability etiquette, offending and dissuading customers with disabilities from future visits (and recommendations to their friends). Don’t let this happen to your business! We believe accessibility is not “one size fits all”: Accessibility cannot be placed in a stereotypical box; one type of accommodation often will not work for all. We have familiarity with limited dexterity, mobility, blind and deaf adaptations.